Jennifer Johnson Cano | The Chamber Music Society of Lincoln Center. 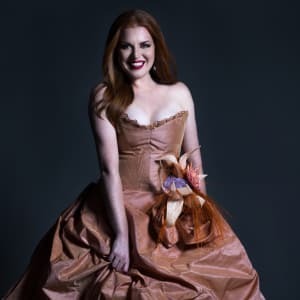 Jennifer Johnson Cano is a naturally gifted singer noted for her commanding stage presence and profound artistry with a warm, velvety timbre that has garnered critical acclaim. Ms. Cano joined The Lindemann Young Artist Development Program at The Metropolitan Opera after winning the Metropolitan Opera National Council Auditions in 2008, and made her Met debut during the 2009-2010 season. As First Prize winner of the 2009 Young Concert Artist International Auditions, she has given stunning recital debuts with husband and pianist Christopher Cano in New York at Carnegie Hall’s Weill Recital Hall, in Washington, DC, at the Kennedy Center and in Boston at the Isabella Stewart Gardner Museum. Among her honors is a 2011 Sara Tucker Study Grant, 2012 Richard Tucker Career Grant and 2014 George London Award. Ms. Cano has given over 100 performances at The Metropolitan Opera, with recent roles including Bersi, Emilia, Hansel, Meg Page, Mercedes, Nicklausse, Wellgunde and Waltraute. 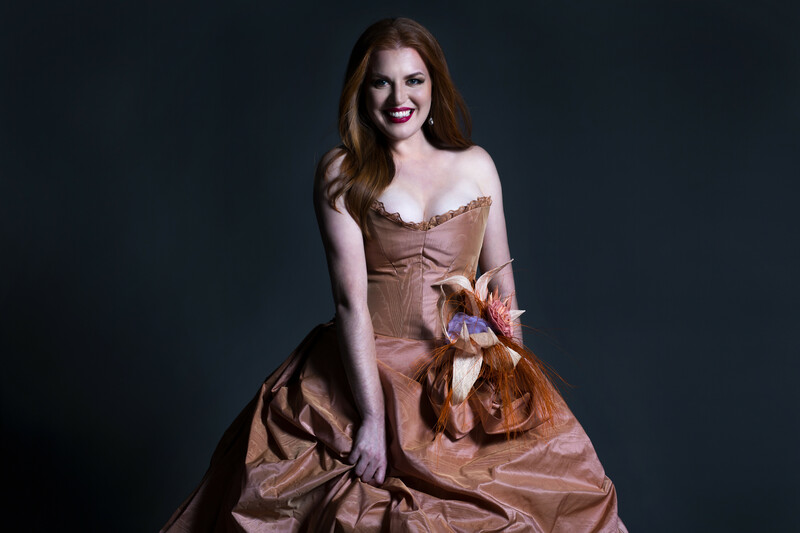 Other operatic appearances included Orphée in Orphée et Eurydice with Des Moines Metro Opera, Donna Elvira in Don Giovanni with Boston Lyric Opera and Arizona Opera, Marguerite in Berlioz’s La Damnation de Faust with the Tucson Symphony, The Sharp Eared Fox in Janacek’s Cunning Little Vixen with the Cleveland Orchestra and Diana in La Calisto with Cincinnati Opera. She has worked with an impressive array of conductors, such as James Levine, Franz Welser-Möst, Manfred Honeck, Marin Alsop, Gary Thor Wedow and Sir Andrew Davis. This season, Ms. Cano bows as Carmen with Boston Lyric Opera, as the Priestess in Aida with The Metropolitan Opera, and as Wellgunde in the concert version of Wagner’s Das Rheingold with the New York Philharmonic in one of Alan Gilbert’s closing conducting engagements in his tenure with the orchestra. Other orchestral engagements include Beethoven’s Missa Solemnis with Juanjo Mena, and Beethoven’s Ninth Symphony with Markus Stenz, with the Cincinnati Symphony Orchestra; Bruckner’s Te Deum with Christopher Warren-Green and the Charlotte Symphony; and Bach’s Cantata No. 34 with the Cleveland Orchestra and vocal ensemble Seraphic Fire, conducted by Franz Welser-Möst. Cano also makes her European debut on a tour of John Adams’s El Niño with appearances in London and Paris with the London Symphony Orchestra conducted by Mr. Adams, as well as The Radio Filharmonisch Orkest with Markus Stenz in Amsterdam, and finally with the Los Angeles Philharmonic under Grant Gershon. A dedicated recitalist and chamber musician, she performs at Mt. Gretna Playhouse with Christopher Cano with a program including songs and arias by composers Hugo Wolf, Enrique Granados, Antonín Dvořák and Jonathan Dove, and she appears in Philadelphia and Pittsburgh with Nathan Hughes (oboe), Rafael Figueroa (cello), and Ken Noda (piano). At Bravo! Vail Music Festival, Ms. Cano performed Manuel de Falla’s Three Cornered Hat with the New York Philharmonic. In addition to her continued relationship with The Metropolitan Opera, New York Philharmonic and The Cleveland Orchestra, Ms. Cano has appeared with such esteemed orchestras as the Los Angeles Philharmonic, Atlanta, San Francisco, Pittsburgh, Baltimore and Utah Symphonies and Orchestra of St. Luke’s. She toured with Musicians from Marlboro singing Respighi's Il Tramonto and Cuckson's Der gayst funem shturem, recorded live for the Marlboro Recording Society. A live recording of Mahler’s Das Lied von der Erde featured conductor George Manahan, tenor Paul Groves and St. Luke’s Chamber Ensemble in a rare arrangement by Arnold Schoenberg and Rainer Riehn. At the invitation of Mrs. Carol Armstrong, Jennifer Johnson Cano was particularly honored to sing the Anderson/Weill September Song at the private funeral for American icon and astronaut Neil Armstrong. In 2014, she released her debut recital recording, Unaffected: Live from the Savannah Voice Festival, recorded completely live and unedited. Ms. Cano is a native of St. Louis, Missouri and made her professional operatic debut with the Opera Theater of St. Louis. She earned her degrees from Webster University and Rice University.